The first RTP for Klickitat County was adopted in April 1995. The plan has been updated over the years with the 2018 Update being the most recent. The RTP uses 20 years as the horizon year and incorporates the latest available data. 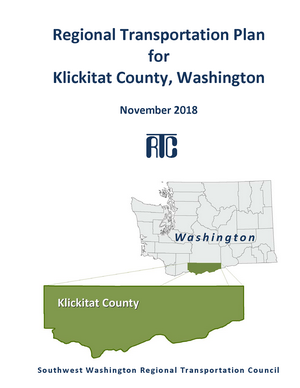 The full plan for Klickitat County is available for download in the sidebar.